We can deliver to wherever you are based in the Liverpool and the Merseyside district. Which includes: St Helens, Knowsley, Huyton with Roby, Kirkby, Prescot, West Lancashire, Whiston, Sefton, Bootle, Southport, Crosby, Formby, Litherland, Ashton-in-Makerfield, Billinge and Winstanley, Haydock, Rainford, Whiston, Wirral, Birkenhead and Wallasey. We will be where ever you need your package picking up from within 45 minutes of your call to collect your parcel and deliver it quickly and securely to any address within the UK and Europe on time and in the same condition that it was sent out in. So why not give us a call on 0845 226 8379 to book one of our reliable Same Day Couriers and let us take care of your logistical package delivery issues. We are a professional courier company that have been operating out of our head office in central London for many years with many happy clients, please go to our testimonial page to find out what some of our clients have said about our services. We deliver documents, parcels, pallets and goods up to a weight of 7.5 tonnes. No job is too small or too large for us and it will be delivered quickly and safely to any address in the UK, Europe or even worldwide. For our clients who have a regular need for our services then we offer accounts to help the process, but still welcome one off jobs that need to be delivered in a hurry. 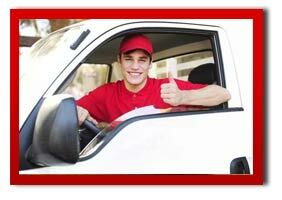 You can rely on us at Links Courier to get the job done right and on time. We also offer overnight delivery, scheduled deliveries and distribution services to and from Liverpool and the surrounding areas. Each service is customised to meet the unique requirements of our clients. The pricing schedule is highly competitive and is considered by many as one of the most affordable and reliable services in the Liverpool area. We have expanded our delivery services to include airport pick up and deliveries and we operate out of all the UK airports especially the busy ones including Liverpool Airport for international deliveries in the region. For those important items that need to be delivered to and from the Merseyside area. For more on Liverpool Airport see their website for what they have to offer. "I needed a return exhibition delivery from Manchester to London. Having not booked this sort of thing for a while, I was nervous initially but linkscourier talked me through the process and put me at ease immediately. Links Courier provided me not only with great service, but also put my mind at rest, emailing me directly when parcels had arrived and the name of the person who had signed for them. It meant I could concentrate on ensuring I was ready for the Conference and Exhibition as I knew they were looking after the logistics. I would highly recommend them and will most certainly use them again. Thanks to Dean and the team." 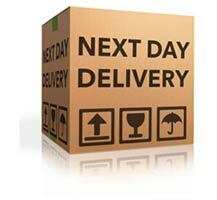 Save time and money, let us deliver that all important package for you! If You Are In Need Of Stationary To Prepare That ALL Important Package Then Why Not Try Rymans Stationary Shop. Rymans is the No.1 shop for stationary in the country and is famous for offering a wide selection of stationary products and is an ideal place to shop if you need to send a package or document and don`t have the correct packaging. They offer great value for money and have very helpful staff on hand to guide you with buying the correct item. You can also find document binding and laminating services here. 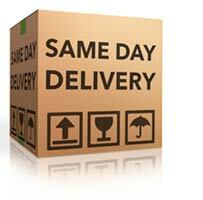 For some of their products for parcel deliveries then please go to their website. 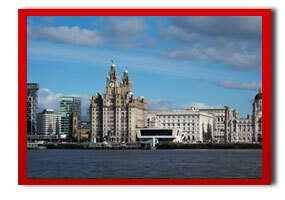 Merseyside is a district county in the North West of England, with a population of around 1.38 million people. It encompasses the metropolitan area centred on both banks of the lower reaches of the Mersey Estuary, and comprises five metropolitan boroughs: Knowsley, St Helens, Sefton, Wirral, and the city of Liverpool. Merseyside, which was created on 1 April 1974 as a result of the Local Government Act 1972, takes its name from the River Mersey. Below is a list of the postcodes that we can deliver parcels to in Liverpool. Recently we received a request from a new client to pick up an item from the lost property desk at Heathrow Airport. The reason for this was the client`s daughter had left something behind on American Airline flight. For more about this happy client`s story..